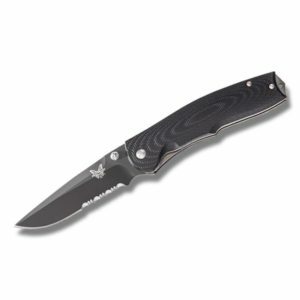 Smoky Mountain knife works is running closeout deals on some of their older Benchmade models. 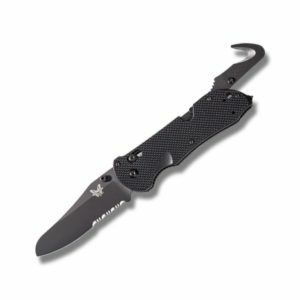 This Benchmade Closeout offers discounts of $40, $50, or even $60 dollars off their original price. If you’ve been waiting for the price to drop on one of your favorite models, smkw.com might be the place to look. Here are five examples of closeout deals being offered. 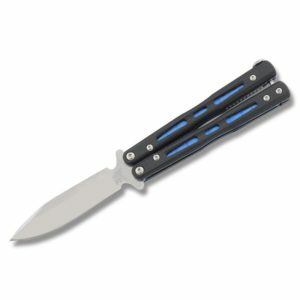 The Benchmade 32 Mini Morpho is one of the more popular mini balisong knives on the market. This model is known for being smooth, lightweight, and well-made without taking up a ton of pocket real estate. The D2 steel use in the blade is a type of tool steel. This allows the knife to hold an edge no matter how many times you drop it. The G-10 handles are backed by blue anodized liners that assist with durability and impact resistance. The titanium backed handles are incredibly balanced and lock using a spring latch locking mechanism. The Mini Moprho is a bit advanced for a beginner but you can certainly learn on it without fear of ruining a $500 model. The Mini Morpho also appeals to you advanced flippers with its 4 3/8″ closed length, It’s perfect for EDC. 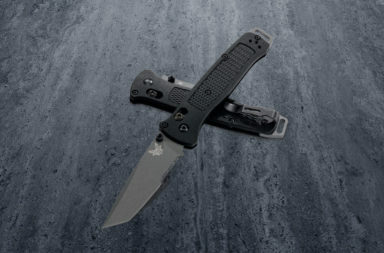 The Benchmade 915SBK Triage might be the ultimate rescue/first responder knife. The Triage’s purpose-built design was engineered to accomplish any task quickly and efficiently. There aren’t many knives I’d trust my life with, but the Benchmade Triage is one. The N680 steel is incredibly difficult to rust. It’s edge retention is similar to carbon steel and it’s almost as easy to sharpen as carbon steel. It’s a great blade for jumping from one adventure to the next with a touch up every now and then. The durable G-10 handle was molded with a grip texture. It works great with or without gloves and allows a firm grip even in wet conditions. The knife locks open using Benchmade’s Axis Locking Mechanism which can hold well over 500lbs of pressure without failing. The handle includes a hidden second blade that is a strap/seat belt cutter. Both blades are easy to open and feature thumb studs. The handle base includes a glass breaker and lanyard hole for just a bit of added function. Overall, the Triage is one of my favorites by Benchmade and I’m glad to see it at such an impressive price. 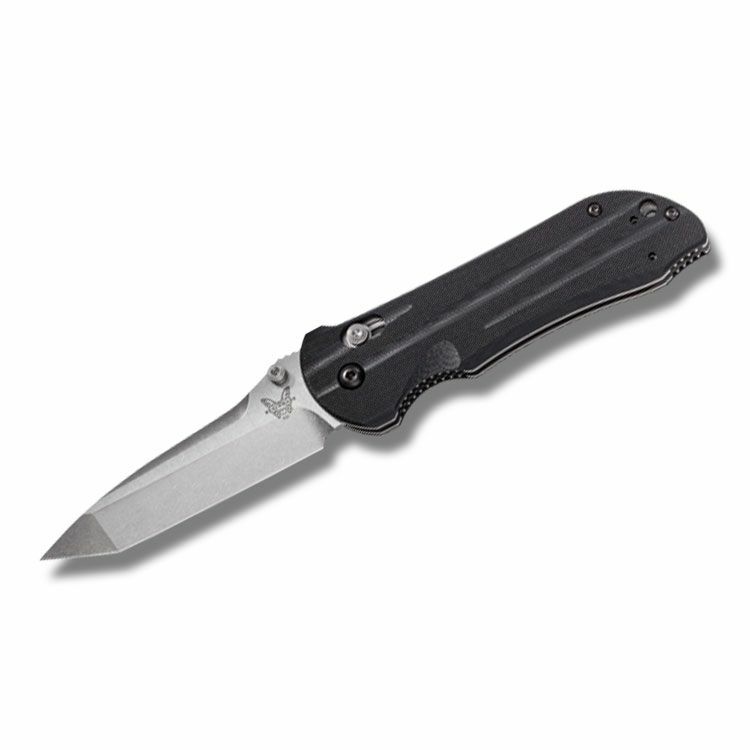 The Benchmade 890 Torrent is one of the quickest assisted opening knives that Benchmade makes. It’s popular for those who want a large but quick to open EDC knife. Its 154CM blade is stainless and holds and edge incredibly well. The Nitrous assisted opening mechanism is a patented feature from Benchmade. The system is a durable titanium bar that’s integrated into the liners. It opens almost effortlessly with just a slight push on the ambidextrous thumb studs. The black G-10 handles are fairly basic in the grand scheme of things, but they have a few nice qualities. G-10 is incredibly durable for how much they weigh. 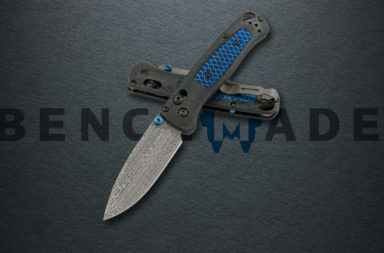 Benchmade machined their G-10 handle to be more ergonomic and the Torrent fits great in the hand. The base of the handle comes to a definitive tip that would be great for use as a glass breaker if needed. The Torrent is a great EDC that you can squeeze a bit more function out of if you were ever in a bad situation. The Benchmade 890SBK Torrent is one of the quickest assisted opening knives that Benchmade makes. It’s popular for those who want a large but quick to open EDC knife. This model is similar to the previous Torrent but with a few more tactical features. It still features a 154CM blade that’s stainless and holds and edge incredibly well. However, the partially serrated blade is better suited for cutting straps and wet fibers than the standard model. The blade also features a black coating to protect the steel and eliminate glare from the blade. The Nitrous assisted opening mechanism is the same found the other Torrent. It opens almost effortlessly with just a slight push on the ambidextrous thumb studs. The black G-10 handles are fairly basic in the grand scheme of things, but they have a few nice qualities. G-10 is incredibly durable for how much they weigh. Benchmade machined their G-10 handle to be more ergonomic and the Torrent fits great in the hand. The base of the handle comes to a definitive tip that would be great for use as a glass breaker if needed. This torrent is a bit more tactical than other models in my opinion, so it would be great for police and first responders. For the price, the 890SBK Torrent is hard to beat. The Benchmade 909 Axis Stryker is part of a long family heritage of knives in the Benchmade line that stretches across automatic, assisted, and manuals knives. It’s slim yet durable and reinforced design has found popularity among the working class, casual enthusiast, and even a collector here and there. This model is a manual action that’s outfitted with a 154Cm stainless blade. It’s a tanto blade shape that has an elongated tip for precision cutting. The Axis Locking Mechanism keeps the blade from collapsing and is capable of holding well over 500lbs of pressure. The G-10 handle is lightweight and durable. 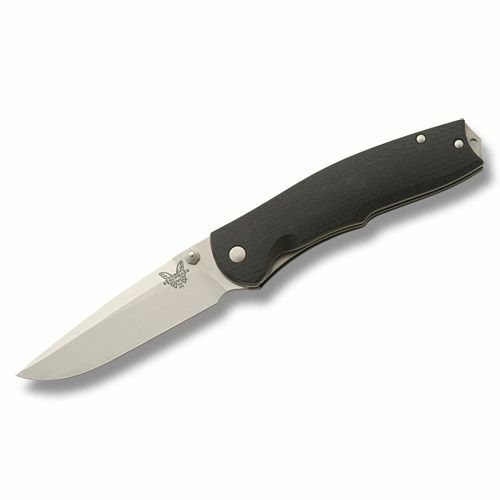 Benchmade machined grooves and a finger hold into the handle to improve grip and ergonomics. The pocket clip is reversible and tip-up design for a customized carry and quick draw. The durability of the handle and versatility of the blade makes the 909 Axis Stryker one solid deal. These closeout deals are only valid for a limited time. 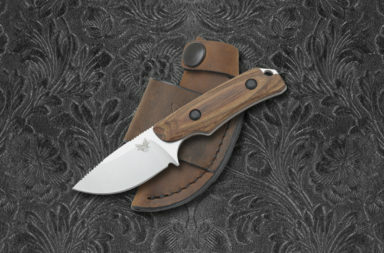 When Smoky Mountain Knife Works sells out of an item, that’s it. If you have your eyes on one of these discounted knives, I would act sooner rather than later. You can find these deals by clicking the banner at SMKW.com or by simply clicking the button below.